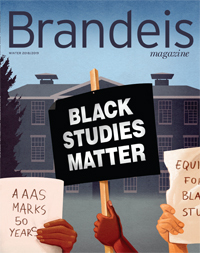 An independent report on the campus culture points the way to stronger diversity, equity and inclusion at Brandeis. Board of Trustees names new members. Toshizo Watanabe '73 gives $10 million — the largest single gift the university has received from an international graduate. Biologist and Nobel winner Michael Rosbash lists his five favorite science books for nonscientists. The Office of Communications and External Relations chronicles the life of the university in video.